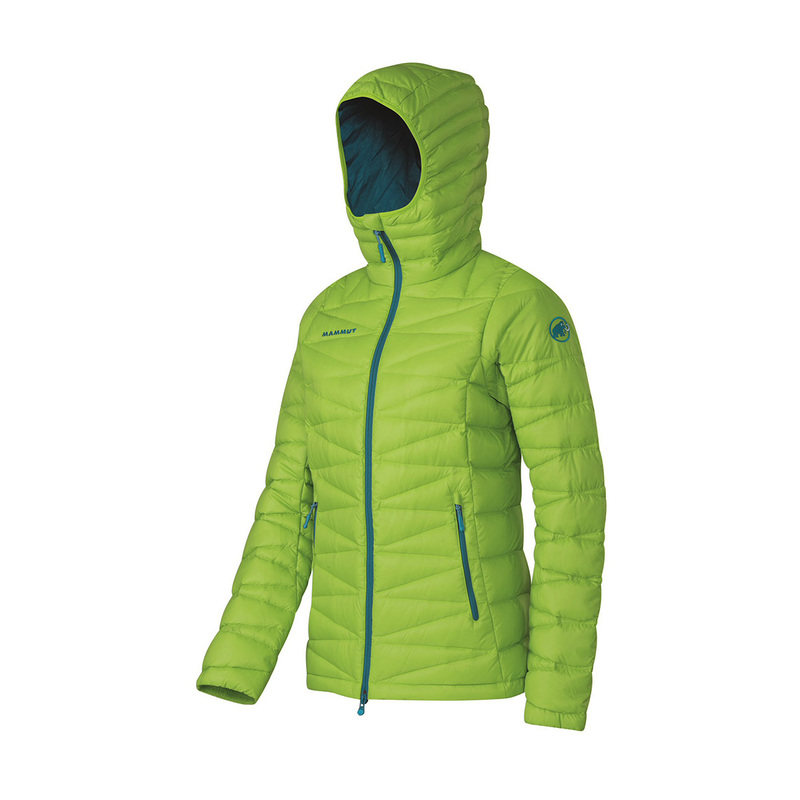 The Miva IN Hooded Jacket from Mammut is a great option for women who want maximum warmth with minimum weight. Ideal for mixed and ice climbing, mountaineering or any winter sport where you need to stay warm, the Niva jacket packs up super-small and is filled with 750 fill-power down all the way through to the hood. Plus, the outer fabric is water-resistant for that little bit of extra protection. Designed to be the perfect companion to both natural and synthetic down, Pertex® Microlight is a windproof and weather-resistant material with a downproof construction that enables insulation to fully loft. Microlight uses a ripstop weave to increase abrasion-resistance and features a high-performance Durable Water Repellent finish to shed light rain, snow, and dirt. The Responsible Down Standard is an independent organisation that recognises the ethical treatment of animals raised for their down and feathers. Developed by animal welfare groups, industry experts, brands, and retailers, the RDS certification is awarded to any product containing down and feather material that has been taken from animals whose welfare has been respected from first hatching. This includes no removal of down or feathers from live birds or force-feeding. Only products with 100% certified down and feathers carry the RDS logo.